What's Your Kind Of Wedding Film? There's more than one way to edit together a wedding film! Probably thousands - oh wait, don't panic! 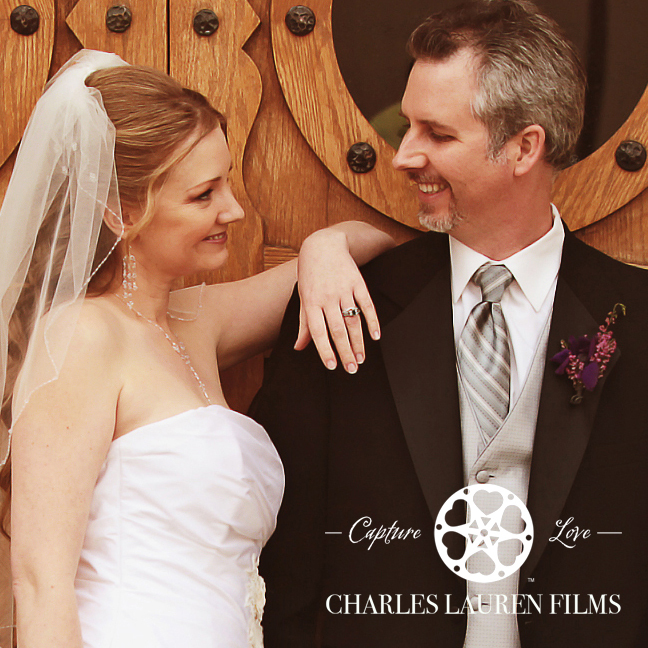 After many years of development, we have decided to offer two different kinds of wedding films. Each one offers something very unique and personal. When booking, all you have to do is decide if you would like your wedding movie to be a Short Form Highlight Film or a Long Form Chronological Film. Whichever you choose, your final video will be ready for the popcorn and tissues! Once you have decided which editing style is perfect for you, just choose your hours of coverage, number of cinematographers, and any extras such as a Love Story or Same Day Edit. Our Highlight Style Film presents your wedding in a fun, fast and emotional ten or thirty minute narrative film of the day’s events. No one will want to stop watching! By choosing this option, you’re telling us that you want us to use our creative discretion to include only the absolute best parts of what we film. We are shooting and editing for beauty and emotion. We won't show your entire ceremony in real time, we will pick the most fabulous parts from your vows, ceremony, toasts and any important events. Since we usually shoot four to five hours of raw footage per camera, we will have lots of footage to work with to create the story of your day! A Highlight Style Film's goal is to create a stylized memory that would be suitable for sharing with anyone in the world. This is for modern, chic couples, who update their Facebook pages every day! If you like the creative appeal of this style, but also want to go more in depth, we have the option to include a full ceremony and toast edit. You can stay fun AND have the content you crave. To help you see the difference between a Highlight and Chronological Style, we have edited the same wedding in both styles for you to see which you like better. After you book your Wedding Film Package, consider these Extras! Share who you are with your guests! We will create a biography about your relationship with he said/she said interviews and up to seventy-five pictures. This is your very own When Harry Met Sally! Comical, entertaining, and a delightful treat for your reception! Click here to see More Love Stories! Can't wait to see the final video? Start the wedding night off right with a three to five minute Same Day Edit of the events that lead up to the reception. Your guests will have their jaws on the floor as they view the candid moments before you said "I Do." Everyone invited to the reception will feel like they were there with you, reliving your day with this amazing film! Click here to see More Same Day Edits! Tell your story through pictures! Whether you need it for your Save-the-Date cards, your cocktail hour or reception, we’re ready to create something memorable for you! You supply the photos, we’ll prepare, edit, check and motion animate your treasures! We can show it at your receptin, online, or simply on your final DVD. Click here to see More Slideshows! We provide seamless presentations. If your DJ or venue doesn’t have projection services, we can provide the projector and screen for your Love Story, Same Day Edit or Slideshow. We can even project a video you made on your own. For smaller venues, we can provide loudspeakers as well. For bright areas or permanent displays during your cocktail hour or reception, we can set up plasma TVs to show slideshows we’ve made or videos you’ve prepared for your magic day! Download our Wedding Cinema Brochure by CLICKING HERE!